Samsung Electronics, a world leader in advanced component solutions, today announced that it has begun mass producing a new mid-power LED package, the LM301B, which features the industry’s highest luminous efficacy of 220 lumens per watt. The package is well suited for a range of LED lighting applications including ambient lighting, downlights and most retrofit lamps. Samsung was able to achieve its industry-leading efficacy (@ 65mA, 5000K, CRI 80+) by incorporating an advanced flip-chip package design and state-of-the-art phosphor technology. The LM301B’s flip-chip design uses a highly reflective layer-formation technology to enhance light efficacy at the chip level. Also, a complete separation between its red phosphor film and green phosphors allows minimal interference during the phosphor conversion process, resulting in higher efficacy than conventional phosphor structures. 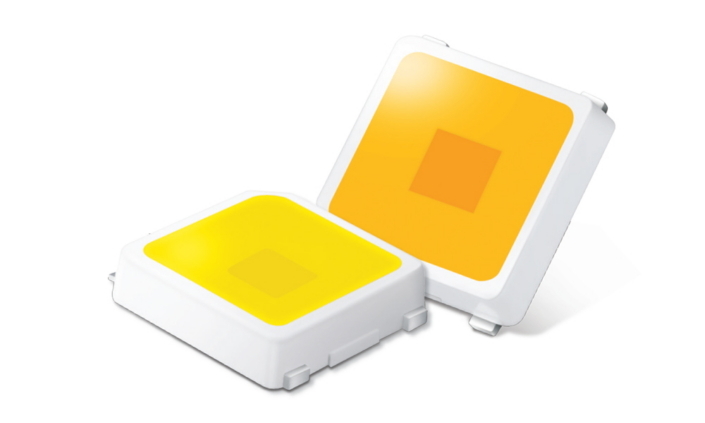 These combined technology enhancements enable a 10-percent increase in overall efficacy compared to competing 3030 platform packages, without compromising on premium-quality light output.